What can I say about Berlin? I have a love-hate relationship with the German capital. It’s just a little freaky for a conservative accountant type, and we’ve been yelled at too many times for breaking rules that we didn’t know about. That being said, I am drawn back time and time again. There is so much to see and do in Berlin. There is so much happening in the city. In the last five years, I’ll bet we’ve been there at least 15 times, and we’ve only scratched the surface. 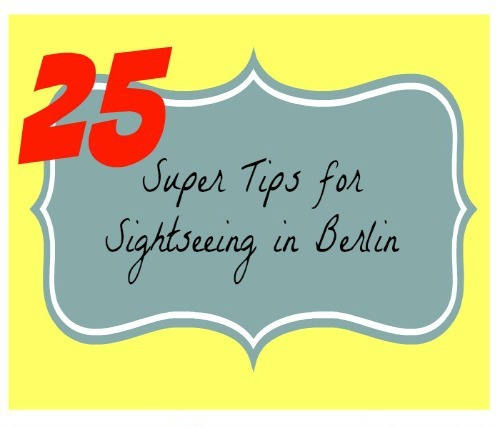 In case you don’t have the luxury of living just three hours away, I’m putting together an ebooklet of my tips for sightseeing in Berlin to help you make the most of your time! Can you use all Euros in the ticket machines? Different countries print their own Euros, right? Can you use Polish Euros in German ticket machines, for example?